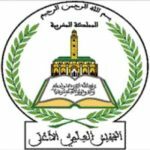 The Senior Scholars’ Council of Morocco is the highest official religious authority in Morocco, which includes a fatwa council. Their fatwa mentions the basic obligations related to giving zakat to particular individuals similar to what was mentioned in the other fatwas. It mentions that the default is that the person owing zakat distribute it personally and that it be distributed to eligible recipients in its locality. It then mentions that it is permissible to distribute it through an intermediary, and that it is permitted to send the zakat to another locale – especially when that other locale has greater need. Their conclusion was that the refugees mentioned in the original inquiry are eligible for zakat, and that it is permissible to distribute one’s zakat to them through UNHCR.